Such turnover is to be expected, as management shakeups often come with new owners. Just a few days after announcing it was acquired by NXMH, a Belgium-based investment firm owned by South Korean conglomerate NXC, crypto exchange Bitstamp unveiled a change in its executive lineup with new appointment and departures. Though it yet needs to be confirmed, a recent regulatory filing with the UK Companies House shows the EU-‎licensed digital currency exchange has parted ways with its co-founder Damian Merlak and Chairman Dan Morehead. Such turnover is to be expected, even if it ultimately turned to be internal moves, as management shakeups often come with new owners, whether or not a company has stumbled. Dan Morehead, whose career in finance spans more than 30 years, originally joined the firm back in 2014. Before that, he worked in several key roles in managing global macro funds, macro trading, and investment advisory services. Morehead also founded and heads Pantera Capital, a blockchain investment firm and one of the largest institutional owners of bitcoin, according to his LinkedIn profile. 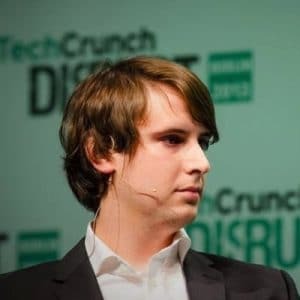 In turn, Damian Merlak has been Bitstamp’s de facto top decision maker since he co-founded the platform in 2011 together with his business partner Nejc Kodrič. Although Bitstamp didn’t disclose the sale price or terms of the deal, the official PR announcing the buyout states that Bitstamp CEO Nejc Kodrič will retain his current position, as well as a minority ownership interest in the exchange. NXC, the parent of Nexon, has taken a majority 80 percent stake in the business. According to the same filings, Bitstamp has onboarded NXMH’s investment manager Hendrik Ghys to its board. The company also hired another executive named Jong Hyun Hong. Just two months ago, Bitstamp celebrated its seventh year in operation, making it the longest-running crypto venue in a sector plagued by hacks and exit scams. The news of Bitstamp’s takeover received varying reactions from market observers, with remarks divided between those who saw the exchange’s sale as a boon for an industry still trying to strengthen its presence against regulatory headwinds and those who felt that Bitstamp may face more hurdles in its attempt to offer services throughout Asia due ‎to lack of familiarity with regulations.